To Cite: Bagheri Lankarani K, Ghoreyshi M, Bakhshayeshkaram M, Honarvar B, Kalateh Sadati A, et al. Meeting Report on First International Mobile Health Seminar: Shiraz, Iran, 17th and 18th May 2015, Shiraz E-Med J. 2015 ; 16(8):e32756. doi: 10.17795/semj32756. Mobile Health (mHealth) is an evolving and rapidly developing field which has the potential to play a part in the transformation of healthcare and increase its quality and efficiency. Shiraz International mHealth Seminar brought together researchers, policy makers, information, communication and technology programmers, academics and civil society representatives for two days synergy meeting in Shiraz city, Iran, to review regional and global evidence-based mHealth research, review mHealth technologies and develop a framework for scale-up of evidence-based mHealth interventions in Iran. The workshop was held in May 2015 in Shiraz and was hosted by the health policy research center, Shiraz university of medical sciences. The term mobile health, also written as mHealth, is practically a new term that has been defined as the application of the emerging field of mobile communications and network technologies in health care systems (1). Mobile phones can be used as an integral factor of eHealth. According to the international telecommunication union (ITU), there are over 5 billion wireless subscribers; most of them living in low- and middle-income countries (2). Clinicians have increasingly involved the use of both smartphones and tablets in their professional careers in recent years. This opportunity emerges from the wide spread use of cell phones in developing countries to provide health care application to patients and health care workers (3, 4). The rising global burden of noncommunicable diseases has been increasing since past decades (5-10). Developing countries can use information and communication technologies to transform healthcare delivery through accessibility and affordability across the developing world (11). With the growing demands on physicians and health care workers with regards to their knowledge base and productivity, distance learning and telehealth may provide an opportunity for busy individuals to meet clinical responsibilities to a more dispersed and diverse population while still participating in educational activities. However, the rapid implementation and advancement of telemedicine and mobile applications in health are posing significant challenges in terms of the development and adoption of standards, patient safety, and patient confidentiality (12). To address these important issues and move towards a more strategic approach to planning, development, and evaluation of mHealth, the health policy research center hosted the first conference of Shiraz International mHealth. This conference provided a discourse on the current work and emerging challenges, nationally and internationally, in regard to these multiple concerns for mobile health. This report provides the highlights of the events in this conference and the lessons learned for scaling-up mHealth in the global health arena. 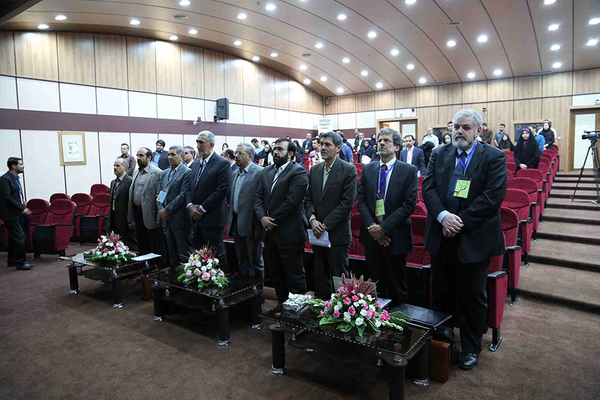 This report documents the events of regional meeting held in Shiraz, Iran, 17th and 18th May 2015, at Velayat convention center, Shiraz University of medical sciences. The meeting was organized and hosted by the health policy research center in cooperation with Information Technology (IT), medical devices incubators, statistics and information technology office and the department of medical physics, school of medicine, Shiraz University of Medical Sciences. 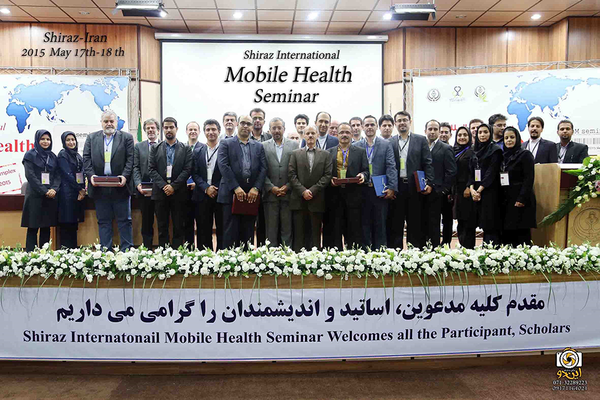 More than 200 national and international authorities, experts, researchers and representatives from mHealth gathered in Shiraz city for a meeting entitled “Shiraz International mHealth Seminarˮ. This gathering for the first time in Iran, made a great opportunity for mHealth experts and researchers to discuss and exchange knowledge and experiences with the topic as well as identified barriers or obstacles, and ways to address challenges about mHealth. This title was selected because mobile technology as mobile phone penetration has increased rapidly in the world. This interactive seminar focused on the opportunities and challenges related to mHealth implementation and scale-up issues in the global health arena. During the two-day meeting, the participants delivered high-quality, accessible and affordable mobile healthcare information, discussed opportunities for information and communication technologies to help alleviate the constraints of these subjects. In addition to the scientific presentations, the executive team organized a gallery walk for interactive demonstrations of the technologies integrated into the health program. The executive committee had been involved with preparation for this conference many months in advance. The use of mobile and wireless technologies is to support the achievement of health purposes and to change the face of health service delivery across the world. The theme of the seminar was to emphasize the needs to improve communication around using mobile technology in health sectors. However, as a prerequisite for increased collaboration between health sectors, there is a need to specify mHealth standards. The following objectives were set: guidelines and standards in mHealth, uses of mHealth, epistemological debates on mHealth, investment and marketing in mHealth, pharmacy and mHealth and implementation of mHealth. Twenty lecturers (13 domestic and 7 international speakers) were invited for speeches in the conference hall or video conference. Two hundred and forty-six abstracts were received by the seminar secretariat, 200 were accepted for oral or poster presentations. Professor Lankarani, head of the health policy research center and the chairman of Shiraz international mHealth seminar was the 1st lecturer of the opening ceremony. First, he reviewed the objectives and gave a report about this seminar for the audience. Professor Lankarani highlighted the urgent need to understand the opportunities, complexities and challenges of the mHealth system. He stated that it is almost impossible to find a person who does not have access to a mobile phone these days. According to the ITU 2014 estimation, there are nearly seven billion mobile subscriptions worldwide, five billion of which are in low- and middle-income countries. With mobile technologies accessible to 95.5% of the world population, a new platform for promoting and delivering health services has been developed. Average internet use in Iran has faced a tremendous growth in recent years, its penetration being about 55%, makes Iran the second highest in the Middle East. The use of “Smartphone”, which has been defined as using a programmable mobile phone, has also been rising in Iran. As professor Lankarani stated, noncommunicable diseases are the leading causes of death in both developed and developing countries. However, inefficiency of health system services is noted despite of high cost of these diseases. He also emphasized on the use of mobile and wireless technologies to support and improve the achievement of key processes of health targets including a broad range from patient monitoring to client-centered information and supplying chain management. It is demonstrated that mobile phones can be used as an instrument to provide better availability for people who are difficult to reach. However, it is also important to consider the limitations and challenges of mHealth. Mobile health has emerged as a cutting-edge tool for expanding access to health information and services. The 2nd lecturer was Dr. Hossein Riazi, the chief of the statistics and information office technology at Iranian ministry of health and education, who provided an overview of healthcare systems and addressed the role of mHealth applications in improving healthcare delivery. Technical issues as well as the future trends for mHealth technologies were discussed. He mentioned that mHealth is now undergoing explosive growth and could be an innovation which will change the face of healthcare in the future. He believed that mHealth offers an effective solution for various healthcare issues and proper use of mHealth applications will result in healthier communities. People around the world are becoming more and more interested in including different features of mHealth in their healthcare policies and strategies; however, the challenges that they face is how to select the solutions or technologies to use, and how to integrate them into present systems. Giorgio Cioni and Augusto Ruggeri, representatives of the two Italian information technology companies, Exprivia SpA and one2net, shared their experiences regarding integrating their suite of software solutions for the IT healthcare market. These interesting lectures provided some ideas about how to promote a national network-based among users, vendors and public administrators of healthcare IT and to promote the utilization of standards in healthcare IT planning. Mobile health and the new technology in this field have introduced important new dimensions in healthcare. However, in order to unlock the full potential of mHealth, the importance of innovation in healthcare needs to be recognized and some key challenges need to be addressed. Some of these challenges were discussed by Dr. Kalateh Sadati, sociologist from health policy research center affiliated with Shiraz university of medical sciences. In his lecture, he stated that medicalization is a process by which human conditions come to be defined and treated as medical problems. Sociologists have yet to dedicate significant devotions to the role played by health and medical applications as contributors to over-medicalization and ecologies. Mobile health, with its rapidly developing innovative technology, is increasingly crossing different regulatory frameworks. There is clearly a need for increased guidance and legislative schemes to illuminate the regulatory framework around mHealth in order to protect user’s safety, build trust and maximize usefulness, while encouraging innovation and inspiring new deployment on the market. Telemedicine is the use of telecommunication and information technologies in order to provide clinical health care at a distance. Telemedicine and mHealth have the potential to aid the healthcare system and to increase the quality of care, improve the health of populations and reduce the per capita cost of care. 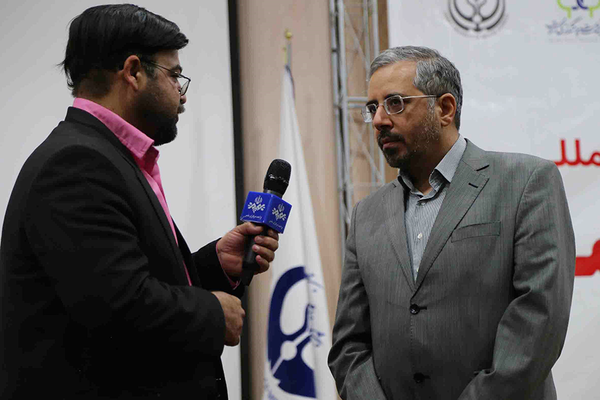 In his lecture, Dr. Ali Akbar Safavi, a professor in system and control engineering in Shiraz University, briefly reviewed recent studies in this field and outlined how telemedicine and mHealth can play important roles in decreasing the overall healthcare cost. Sexual and reproductive health is one of the most important fields that Iranian mobile users are nowadays seeking information about; therefore, developing a mobile application which is specifically targeted to assist Persian users in their fertility-related decision making is an important concern. Dr Mitra Molaeinezhad, PhD in sexual and reproductive health, behavioral science research center, Isfahan University of medical science talked about a qualitative content analysis of questions submitted to the authors of web sites and findings which were presented to six experts in gynecology, urology and sexual reproductive health. The findings of the first phase and an extensive literature review were used to develop the first Persian sexual and reproductive health mobile application. This application may assist mobile users in promoting their knowledge about reproductive system and fertility which was frequently revealed as the most prominent information need of Iranian reproductive health website users. Big data is a broad term for large or complex sets of data for the analysis of which traditional data processing applications are inadequate. Challenges in big data include analysis, capture, search, sharing, storage, transfer, visualization and information privacy. Dr Mehran Yazdi, associate professor of school of communication and electronic engineering affiliated with Shiraz University gave a speech about the challenges, solutions and suggestions related to mHealth Big data. Mobile health is an emerging and new field; however, inadequate evidences exist for proving mHealth efficacy and its cost effectiveness. Dr Ahmadvand, a researcher at NonCommunicable Diseases Research Center, Tehran University of Medical Science delivered a speech about the compounding factors, challenges, results and solutions of this situation. He presented available useful examples of mHealth evidence and talked about categorizing and grading mHealth evidence. Mobile health and e-health need good ICT infrastructure communication networks, digital collection, transferring and sharing of digital data and also exchanging of information through a variety of systems. It also requires interoperability of all involved systems and ability to work together without restricted access. Marco Masseroli, PhD, associate professor of Politecnico di Milano, Italy, talked about implementing ICT projects in Vimercate Hospital, an Italian public regional hospital. Irrational use of medications is a global challenge; the world health organization estimated that more than half of all medicines are prescribed, dispensed, or sold inappropriately. This situation is exacerbated by half of all patients not taking their medications as intended with non-adherence rates in disorders like schizophrenia reaching over 70%. Medication non-adherence and polypharmacy (i.e. the use of multiple medications management) are the source of substantial health and financial costs. Mobile health offers myriad methods to address these challenges, ranging from simple text message reminder systems to Ecological Momentary Interventions (EMIS) to leveraging interface versatility for ehealth literacy solutions. Dr. Payam Peymani, a doctor of pharmacy from health policy research center, Shiraz university of medical sciences talked about the role of mHealth in enhancing pharmacy related outcomes in varying health care settings and diverse populations. The role of medical IT in health care has increased even more in recent years due to the development of mobile technology, which has produced a number of applications designed not only for healthcare facilities and professionals, but for patients and healthy people as well. Paolo De Nardi, information and clinical technology director, Az. Ospedaliera PD, shared his experiences about implementing medical IT projects in Padua University Hospital, an Italian regional hospital in Veneto Region. Alireza Mehdizadeh, MD PhD, a scientific secretory of this seminar delivered a speech about existing barriers and issues related to mHealth deployment and the right way forward to unlock mHealth potential. He talked about applications of mHealth for healthcare, its market potential and issues at stake. He stated that mHealth is not intended to replace healthcare professionals who remain central to providing healthcare but is rather considered to be a supportive tool for the management and provision of healthcare. Mobile IT in radiology represents a novelty as a part of tele-radiology. Since the introduction of this technology, the radiological field has been probably the first medical discipline to discover the many advantages of these devices. Dr. Alireza Shakibafard MD, president of Fars society of radiology, Shiraz city, described the ongoing work on mobile teleradiology systems. This seminar dedicated intense two-day discussions among experts in the hopes of breeding inputs to help guide future policymaking and scholarship. This seminar explores how mHealth technologies might change health care in Iran and region. Telemedicine and related mobile-phone technology becomes the dominant means of delivering healthcare advice and treatment. However, in order to reach its full potential, all critical dimensions must align such as policy, regulatory and legislative changes. The next seminar will take place in Shiraz, Iran in May 2016. We very much look forward to seeing you at this next seminar. The meeting was hosted by health policy research center, Shiraz University of medical sciences. 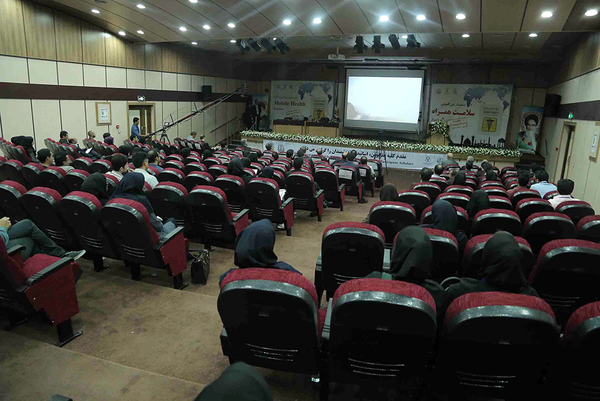 In addition, information technology of Shiraz university of medical sciences provided the technical and logistical support. Authors’ Contributions: All authors have contributed in preparing this meeting report.